Mādhava of Sañgamāgrama (c. 1350 – c. 1425) was an important Indian mathematician who also endeavored the field of astronomy. He belonged to Irińńālakkuţa which was a town close to Cochin (in modern day India). Many progressions have been attributed to this great mathematician, for instance he is labeled as being responsible for the founding of Kerala School of Astronomy and Mathematics. He was the pioneer in formulating infinite series approximations for trigonometric functions. Many people believe that his work helped open a gateway towards ‘Mathematical Analysis’. This well-known astronomer-mathematician contributed in numerous fields which included infinite series, calculus, trigonometry, geometry and algebra. Mādhava was a revolutionary mathematical figure of the Middle Ages, and a few scholars have reason to believe that his work reached through to Europe due to the presence of Jesuit missionaries and traders at an ancient port relevant to his surroundings at that time. Many of his writings have been known to be lost, but some of his contributions in astronomy have managed to survive. There have been reports that much of his work was discovered by Keralese mathematicians who were alive till around 100 years after him. Something of peculiar interest regarding this mathematician includes the fact that he discovered the series equivalent to the Maclaurin expansions (sin x, cos x and arctan x), more than two hundred years ahead of Europe. He determined the explanations of a few ‘transcendental’ equations by a process of repetition. A procedure was unfolded by him to determine the siting of the Moon every 36 minutes, and techniques to evaluate the motions of the planets. His contributions to infinite series and infinitesimal quantities attest his writings’ existence; a lot of his work has been transmitted through other mathematicians after him. To suggest his popularity, there is a formula named Madhava-Leibniz which many students are taught during their college years. Karana Paddhati is a piece of work which was originally written by Madhava, but was found out through latter mathematicians and brought into the limelight. In conclusion, this great mathematician might have existed a long time ago; however his work had a great impact on the discoveries and mathematical understandings in Europe after his demise. His Indian background also permits the acknowledgement of the mathematical potential and progress within the region during that era. 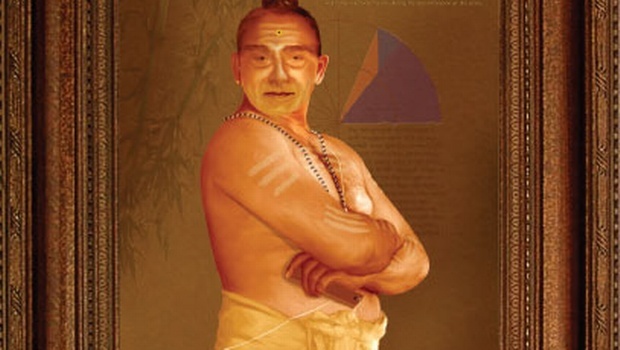 Each mathematician influenced the upcoming comprehension of Mathematics, in the same way Madhava managed to reach out to Europe with his achievements and contributions.